With a stay at QT Gold Coast, you'll be centrally located in Surfers Paradise, just a 3-minute walk from Slingshot and 6 minutes by foot from Chevron Renaissance. 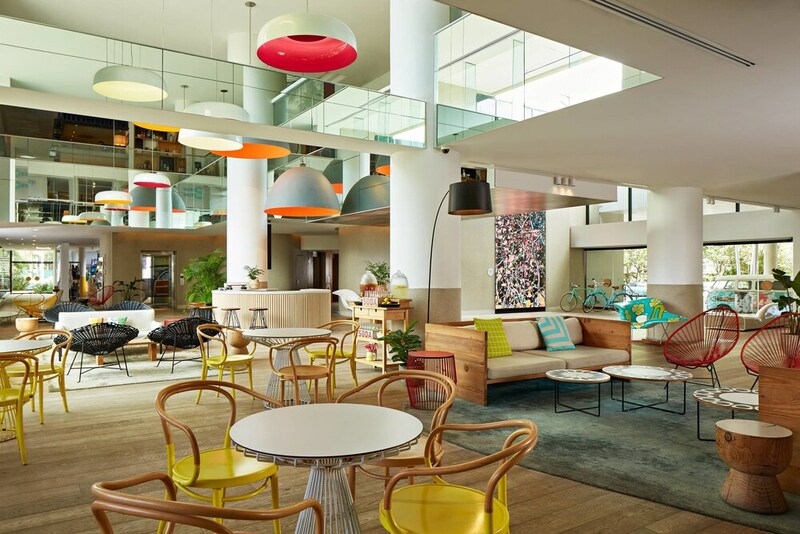 This 5-star hotel is 0.5 mi (0.8 km) from Surfers Paradise Beach and 0.6 mi (0.9 km) from Cavill Avenue. Pamper yourself with a visit to the spa, which offers massages, body treatments, and facials. You're sure to appreciate the recreational amenities, including outdoor tennis courts, an outdoor pool, and a spa tub. This Art Deco hotel also features complimentary wireless Internet access, concierge services, and gift shops/newsstands. Grab a bite at Bazaar, one of the hotel's 2 restaurants, or stay in and take advantage of the 24-hour room service. Snacks are also available at the coffee shop/café. Unwind at the end of the day with a drink at the bar/lounge or the poolside bar. Buffet breakfasts are available for a fee. Outdoor tennis courts and complimentary bicycles are featured at the hotel. An outdoor pool and a spa tub are on site. Other recreational amenities include a fitness center. Minimum Spring Break check-in age is 20 years old. This property's policy is to refuse certain bookings for the purpose of group events or parties, including pre-wedding stag/bachelor and hen/bachelorette parties. Only registered guests are allowed in the guestrooms. The property has connecting/adjoining rooms, which are subject to availability and can be requested by contacting the property using the number on the booking confirmation. Some facilities may have restricted access. Guests can contact the property for details using the contact information on the booking confirmation.